Hiring health care talent is one of the biggest challenges for healthcare organizations. As the U.S. population ages, this becomes a bigger issue as the demand for services and care increases. This means a need for more nurses and physicians, but it is not just in this area of expertise that a shortage of talent is happening. People who are currently in C-suite, vice president and other leadership positions are also aging. They are looking to retire and put a close to their healthcare careers. Normally this would not be an issue, but we must consider that according to the Bureau of Labor Statistics (June 2017) health care employment increased by 37,000. The pool is smaller than it has ever been, so it comes as no surprise that there are thousands of US executive search firms who are looking to help to place talent in healthcare organizations. 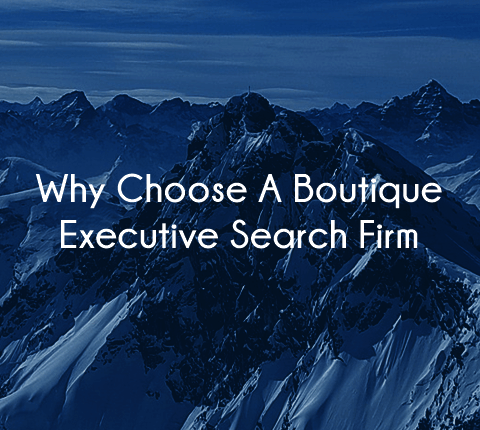 But, how are you to decide on which firm out of all the US executive search firms is the right firm for you? You may be tempted to engage a large executive search firm, one of those that are touted as being some of America’s best executive recruiting firms. However, size is not always an indicator of success. You need to find the search firm that is the right fit for your health care organization, one who understands your needs and company culture so that when a candidate is placed into a vacant position, they will remain in that position and grow within your organization so you only have to place that person once. A boutique search firm will achieve this. Boutique firms provide you all the services of larger firms, but you will get additional care and benefits. The services a boutique search firm like Summit Talent Group provides are hands-on, well-organized, and efficient. Engaging a boutique firm means that you are dealing with the person who will be working on your project. Large executive search firms tend to work quite differently. While you may meet with the partner who will direct the search, the actual search will be conducted by less experienced associates, these are people you may never meet. They could be new hires right out of college with no experience in the healthcare industry. These less tenured people may not have an understanding of your company culture and the challenges that you face. This may result in filling a vacancy with a person who is not the right fit for the job. This mis-hire will have less than stellar performance, cost you money, and will not fit into later succession plans. This is not because the person is not talented, but because they are not the right fit for your organization. Because boutique search firms work with a smaller number of clients, it is much easier for them to be organized and to keep you organized during the search process. For example, here at Summit Talent Group, we go beyond identifying, vetting, and attracting talent. If you have never worked with an executive search firm before, we will sit with you and others in your organization and outline the entire process from start to finish; this way there are no surprises and you have an idea of the timeline for the engagement. As we get to know your team, we advise you on how your interview team should be structured and work with them to predict when interviews will happen to plan ahead to make sure that no scheduling conflicts occur during this part of the process. Our team also reviews your current interview process, looks at the questions that are presently being asked and fine tunes them so you can be sure to select the best candidate for your needs. Our team will also look at your proposed salaries; at times you may be offering salaries that are lower or higher than the industry standards. Salary assessments can help you decide if you need to increase or decrease the proposed salary or drop unnecessary qualifications that could be replaced by a different skill or certification. Most importantly, we are incredibly vested in the pre-close and give the candidates an idea as to whether their expectations for salary, bonuses, relocation assistance, etc. are plausible. We guide the candidate with data to support our ranges and do this early in the process. This way once a candidate receives an offer, they can make a quick decision which allows for a speedy close. A boutique solution is probably what you are looking for. However, you don’t want to go too small; you want to work with executive search firms in the U.S. that have access to candidates in all 50 states. For example, if you are a healthcare organization in Mission Hills, CA; you don’t necessarily want to go with a California healthcare search firm. Their talent pool is likely to be significantly smaller. As we mentioned, talent is scarce and working with a healthcare search firm that has a more national reach will open you up to a wider range of candidates resulting in a quicker hiring process. You want to make sure that your executive search firm has access to candidates from all over the U.S.: Baltimore, Greenville, Spokane, Anchorage, Baton Rouge, etc. Working with a hyperlocal executive search firm has other disadvantages. Because you need to pull candidates from a national pool of talent, your executive search firm needs to have a grasp of the national health care market. Your organization is competing with the entire country. You are competing with hospitals, non-for profit, for-profit, academic, governmental and faith-based hospital systems; physician enterprises; ambulatory and surgery centers; long-term-care, skilled nursing and rehabilitation operations; home care agencies; health care consulting firms; managed care companies; and life science organizations. If your search firm only works in South Dakota, they may not have the industry knowledge that is needed to understand what the salaries in other parts of the country look like. This could cost you the perfect candidate. The key in choosing a boutique healthcare search firm is to go small, but wide-ranging. Why Work with Summit Talent Group? Although Summit Talent Group is a boutique firm, it is also one of the leading US executive search firms for the healthcare industry. Our firm has a national presence. Even if you are working with one of our specialists like Dr. Sonnino (our medical executive consultant); Seth (our President), Mary Louise (Vice President), and Joanne (Vice President) will be involved the entire time. They are instrumental in filling your leadership teams and will be involved with you from the initial conversation about your needs, through the interviewing process, to the adjustment period after the candidate has been placed. Because we are a boutique firm, we never over-commit. We only take on a handful of clients so that we can devote our attention to you and your needs. And, although our healthcare search firm is headquartered in Columbia, MD, we have an extensive network so we can find the perfect fit for your health care organization. If you are curious and want to schedule a time to chat with us, contact us. We look forward to hearing from you. Does your Healthcare Organization Need An Interim Leader?